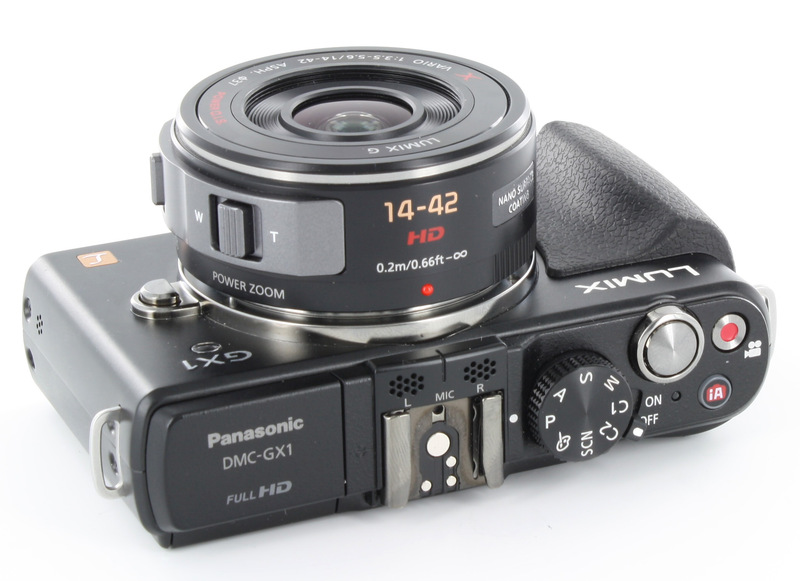 Joshua Waller reviews Panasonic's latest mirrorless camera - it comes bundled with the new 14-42mm X lens as the DMC-GX1X kit. The Panasonic Lumix GX1 is designed to fill the gap left by the GF1, as the GF2 and GF3 were announced, more serious photographers were missing the more advanced controls found on the GF1, the GX1 is designed to be Panasonic's answer to this seeming lack. With a larger hand grip and higher resolution 16 megapixel sensor from the Panasonic Lumix G3, as well as custom function buttons, it should hopefully meet the needs of advanced photographers. With the GX1, Panasonic also announced a new LVF2 Viewfinder with 1.44million pixels, the view through this looks good and is quite large with a diopter adjustment dial underneath. The viewfinder can be tilted. 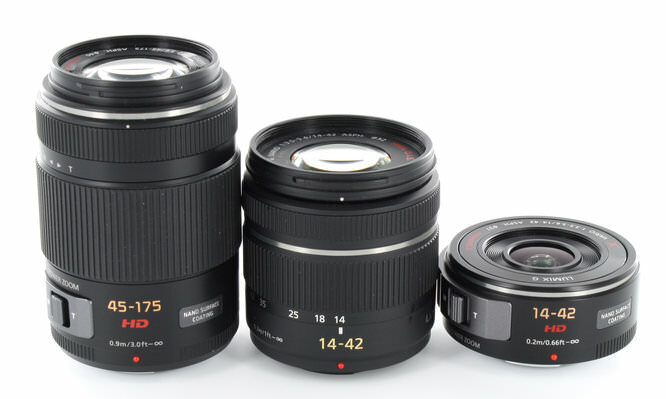 Panasonic Lumix Lenses - Left to right: Panasonic Lumix X PZ 45-175mm, 14-42mm Standard Kit Lens, Lumix X 14-42mm Lens. Handling - A large front rubberised hand grip is at the front with a thumb grip on the back. A focus assist lamp is on the right and the pop up flash can be tilted upwards for bounce flash. The physical on/off switch next to the mode dial feels good in use and the controls are all well placed so that you can access them with your right hand. 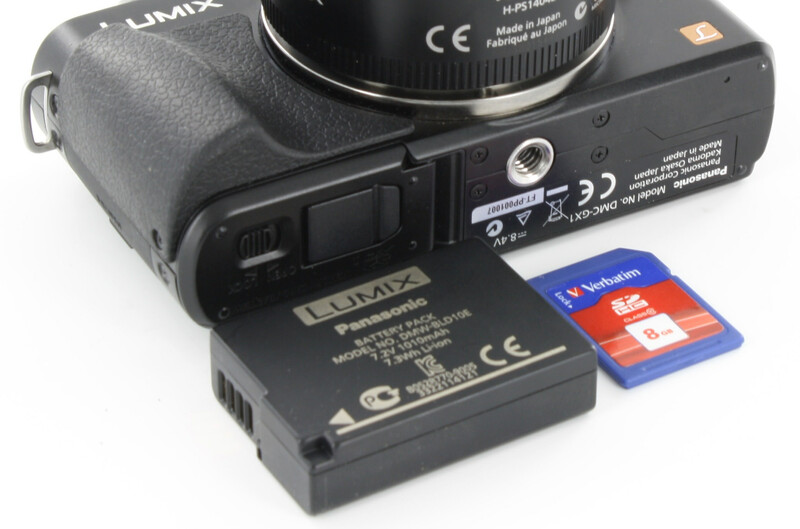 There are two function buttons on the back of the camera and two additional customisable function buttons available on screen. Menus - Not much has changed with the menus since the last Panasonic Lumix model, but the menus are now black to match the colour design of the X lens range. Each section is still colour coded and the menu items are spread over several pages, as you can see in the walkthrough video below. The camera remembers your last position so that you can quickly access get to the same setting if you want to change it again. Battery life - The camera's battery life is rated at between 300 to 340 shots depending on lens used with the camera, with the 14mm Panasonic lens giving the best performance. We used the 14-42mm X lens and took over 400 shots before the battery went flat. The continuous shooting at full resolution was around 4fps as expected and shooting at the 20fps mode reduces the image size to 4 megapixels, as well as switching the camera to an electronic shutter. Shooting at 4fps we were able to take 26 shots before slow down. If you do use long exposures such as a 10 second exposure, the camera will spend another 10 seconds shooting a dark frame to reduce noise from the image, delaying the next shot, unless you switch off the NR in the camera's menus. You can click "Hi-Res" to view the full size sample photos, you can view more or add your own images and review in the equipment database. Sample photos - There is some vignetting when using the 14-42mm X lens and switching on the shading compensation option in the cameras menus helps remove some of this, although it is still visible. Flash performance is good with little red-eye and good detail in the portrait shot. Lens test images - The camera performs well with good exposure, colour saturation and detail. Purple fringing is controlled well with only a little visible at the corners of the image in areas of high contrast. Getting a sharp macro photo proved to be a little difficult, with the closest focus acheived when using the lens at the telephoto end and using manual focus to ensure accurate focus. ISO Noise Performance - Here you can see the full ISO range of the camera, from ISO160 to ISO12800. 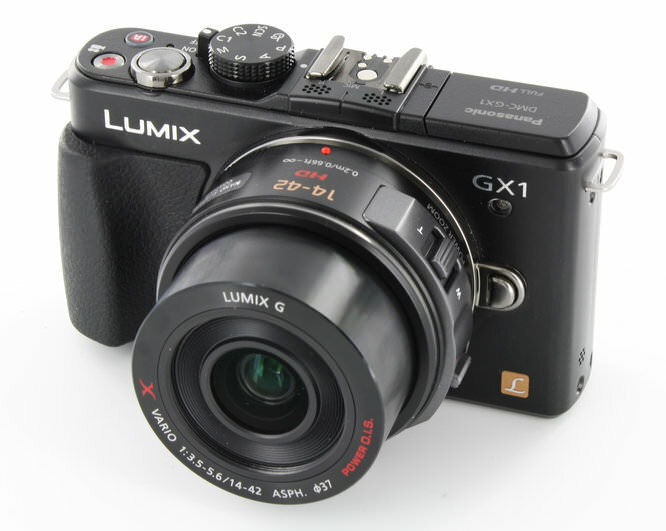 The GX1 offers ISO12800, while the Panasonic Lumix G3 which uses the same sensor only offers upto ISO6400. Noise performance is good with usable results up to ISO3200, above this results should be usable resized or converted to black and white. White Balance Performance - Auto white balance does a good job, although to get more accurate results you can use the presets which can be customised. There is no fluorescent preset with the auto white balance performing well. Digital Filters - Effects and colour options: the GX1 adds two new digital filters: Lo-Key and Toy Camera bringing the total number of filters up to 9, with a number of colour options also available. Video: The GX1 records at Full HD, an example using the power zoom lens to zoom in and out is shown below with additional videos on our youtube channel. Video options are: AVCHD, MP4, Full HD, 720p, Continuous AF (On/Off), Wind Cut, Mic Level Display, Mic Level Adjust, Flicker Reduction, to name a few. The Panasonic Lumix GX1 is available as 'body only' for around £449, with the H-FS014042 lens, (Standard Kit lens, Lumix GX1K) for £529 and with the lens tested as the LUMIX GX1X kit – with the H-PS14042 lens (compact 14-42mm X lens) for around £649. 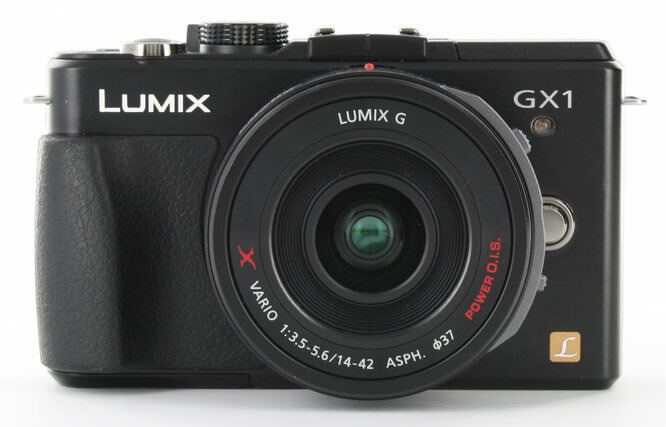 This makes it roughly £70 more expensive than the Panasonic Lumix G3, with very similar specifications, although with a built in EVF the G3 is a larger camera. Alternatively you could look at the Olympus PEN E-PL3 with tilting screen and 12 megapixel sensor at around £459. Or have a look at our Top 10 Mirrorless cameras. The Panasonic Lumix GX1 is designed to satisfy the needs of advanced photographers and those wanting a premium compact camera with higher resolution sensor and high quality video. The camera looks great with the new compact 14-42mm X lens that compacts to the size of a pancake lens when off making it very pocketable for a mirrorless camera. Image quality is slightly degraded when compared to the results from the non-compacting 14-42mm lens, but the small size of this lens and usefulness when recording videos makes up for it and makes an excellent match for the compact GX1 body. Customisable buttons on the back of the camera and the touch screen give quick access to your most favourite settings and the camera feels great in the hand, particularly with the extremely quick focusing speeds. The Panasonic Lumix GX1 with X lens offers an extremely compact and responsive camera with great controls. Good to know the AF is 'very fast' but how does it compare to the G3 in terms of AF performance and overall image quality as to me it seems strange to charge more for less when the G3 has built in EVF and is already a small camera? [quote]Good to know the AF is 'very fast' but how does it compare to the G3 in terms of AF performance and overall image quality as to me it seems strange to charge more for less when the G3 has built in EVF and is already a small camera? [/quote] Have a look at our G3 review for the speed of AF: https://www.ephotozine.com/article/panasonic-lumix-g3-micro-four-thirds-review-16736 I'll post some more about the GX1 vs G3 asap. Quote:Good to know the AF is 'very fast' but how does it compare to the G3 in terms of AF performance and overall image quality as to me it seems strange to charge more for less when the G3 has built in EVF and is already a small camera? I'll post some more about the GX1 vs G3 asap. Ok thanks. Have tried the G3 and found the AF fine for static subjects or very slow moving but not up to tracking moderately fast moving subjects so was especially interested to see of the GX1 was any improvement. With the G3 set to continuous low speed and with image review off to maximize tracking ability it still wasn't fast enough to track a fast moving toddler! Seems to me that the Fuji Pro 1 sample images were far and away better than those of my beloved Lumix. But the Panasonic got a higher rating. What's the skinny? [quote]Seems to me that the Fuji Pro 1 sample images were far and away better than those of my beloved Lumix. But the Panasonic got a higher rating. What's the skinny? 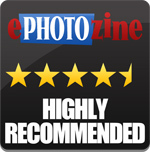 [/quote] We have not yet reviewed the X-Pro1 or given it any rating so not sure where you get the idea that the Panasonic has a higher rating? Quote:Seems to me that the Fuji Pro 1 sample images were far and away better than those of my beloved Lumix. But the Panasonic got a higher rating. What's the skinny? We have not yet reviewed the X-Pro1 or given it any rating so not sure where you get the idea that the Panasonic has a higher rating? I do not recall where I got that information, but I would not have written what I did had it been bogus. Now it's more than a year later. Any addition to your review/comment? 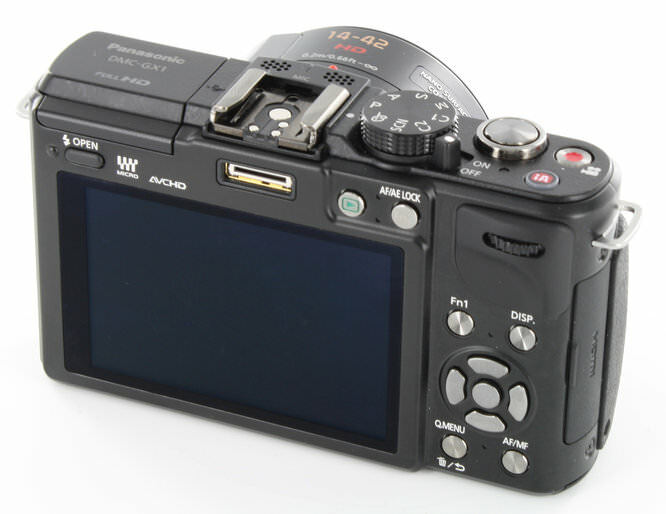 The X-Pro1 review gives the camera a Performance (Image quality) rating of 5 stars: https://www.ephotozine.com/article/fujifilm-x-pro1-mirrorless-camera-review-18698 The GX1 scores 4.5 stars for Performance (Image quality). 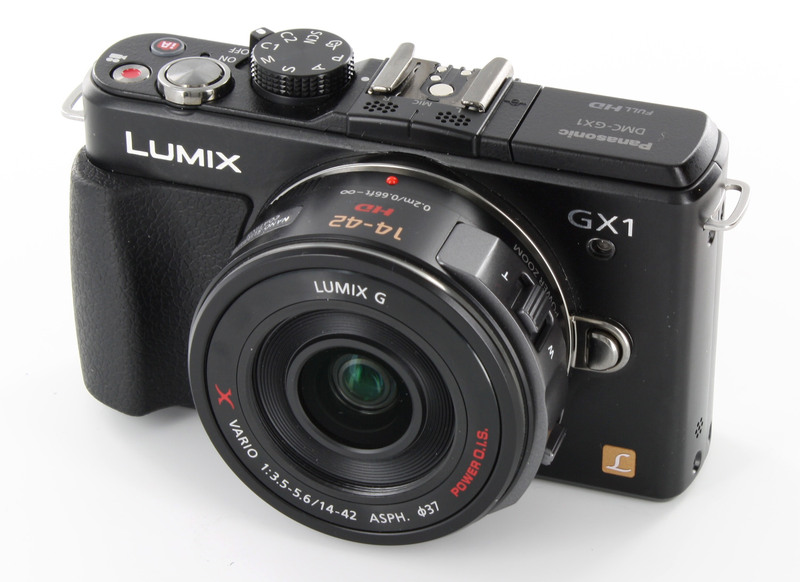 The GX1 scores 4.5 stars for Performance (Image quality).